March. Composed by Broadbent. Arranged by Stratton. Symphony Band. Audio recording available separately (item CL.WFR375). Score and set of parts. Composed 2012. Duration 4 minutes, 20 seconds. Published by C.L. Barnhouse (CL.012-4153-00). 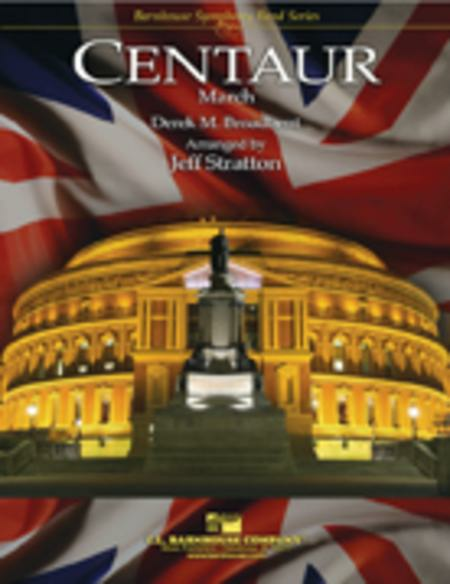 Here's a terrific and challenging British march for concert band, from the pen of one of the greatest brass bandsmen of the U.K.! 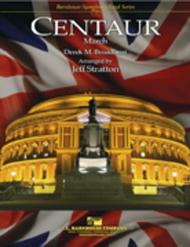 Originally composed as a contest march for brass band, "Centaur" is now available in this new concert band arrangement! An excellent march showpiece to demonstrate your band's virtuosity!